Cybersecurity, an enabler for a free, open and prosperous Europe. The objective of FIC is clear: to promote an open, free, stable and prosperous Europe by making our core European values meaningful and operational in cyberspace. To contribute to this goal, we see cybersecurity as a tool of paramount importance. How can you be free in an all-digital and data-driven society if you do not trust your infrastructure, your processes, your knowledge, your data? Cybersecurity is often seen as preventing threats, but we also see cybersecurity as an enabler for a growing and sustainable economy. Cybersecurity is regularly viewed as a necessary but not obvious investment, as every year you need to spend a part of your IT budget on, for example, recruiting staff and consultants and adopting (technical) solutions. We believe true cybersecurity needs to be understood as an enabler with an essential value proposition for our digital lives, one that creates benefits rather than just adding costs. Cybersecurity is not about limiting the flow of communication and imposing restrictions on people. It is about creating a dialogue between the different teams within an organisation to get them to understand the broader context, the risks that are out there and the way to create a safe digital environment for the organisation as well as its customers and stakeholders — not just for now, but also for the generations to come. State actors, organised criminals and other attackers abuse the vulnerability of their victims. We need to become as resilient as we can against these malicious attacks. We need to share information and knowledge, and organise and equip ourselves better. No single organisation and no single country can do this by itself. We need to cooperate on cybersecurity to be able to deal with the challenges of working and living in the 21st century. Various large scale attacks in 2018 remind us that Europe needs to join forces and be a net contributor to global cybersecurity. The EU has shown it takes these matters seriously through regulations such as the GDPR and the NIS Directive. This is excellent, but it does not mean we can lean back. The FIC aims to contribute to a free, open and prosperous Europe by building a European platform. 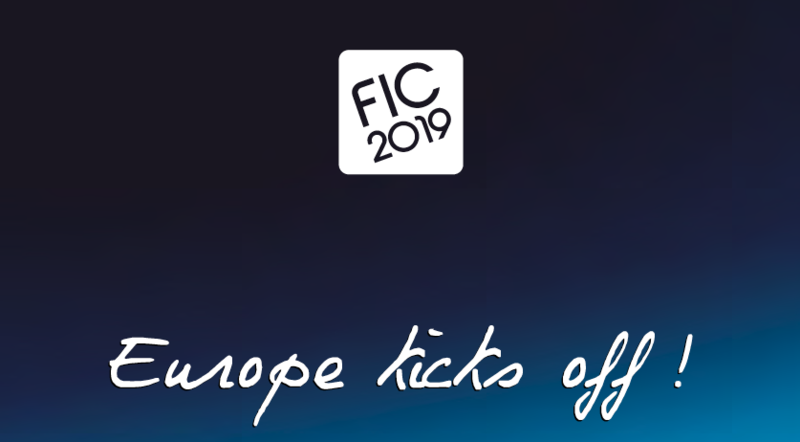 Dr. Tobias Höllwarth represents EuroCloud Europe in the Advisory Board of FIC2019.